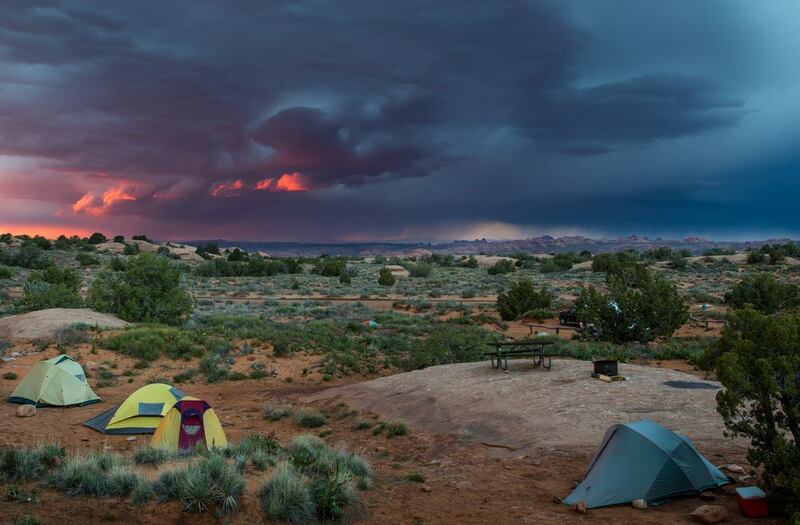 →9 of the Best Camping in Utah, #6 Will Amaze You! Spring is almost upon us and camping season will quickly follow. There’s no better time to enjoy the great outdoors! In fact, what better place to enjoy the sun and mountains than the great vacationland that is Utah - arguably one of best camping locations in the west! 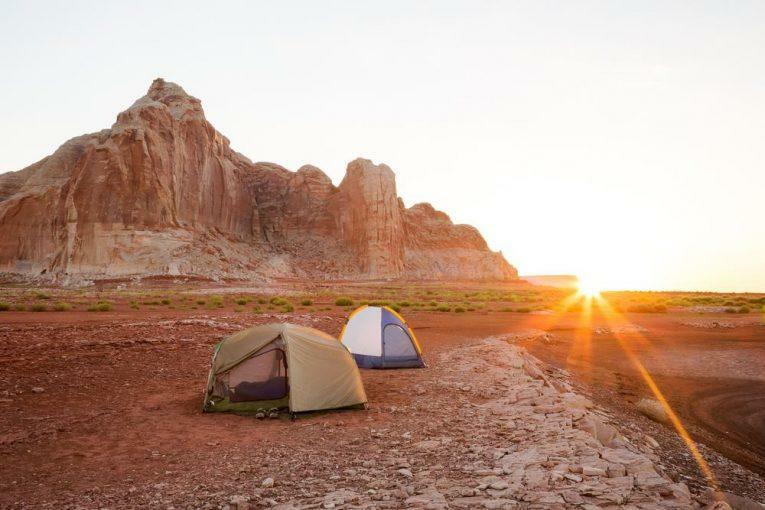 Hence, we’ve compiled for you nine of the best camping in Utah. Ready your bivvy sack. 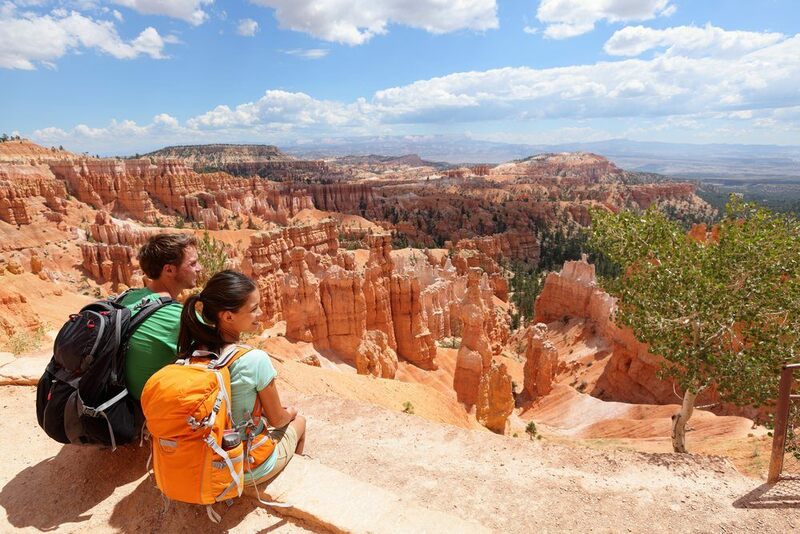 Utahns will boast of their state’s myriad of campgrounds, national parks, and scenic backpacking trails! And they’re not exaggerating. Over 7,000 campsites await you, with locations in the high mountain ranges, canyons, open deserts, and remote flatlands. In any case, make sure to get those reservations or camping permits early! Rightly so as many of these prime camping areas fill quickly when the season begins! Admittedly, the best camping experience is subjective. For instance, a bare and unimproved campsite with little or none of our modern amenities will be perfect for some. However, this particular campground may be too primitive and isolated for those who prefer running water, modern plumbing (toilets! ), and electrical hookups. 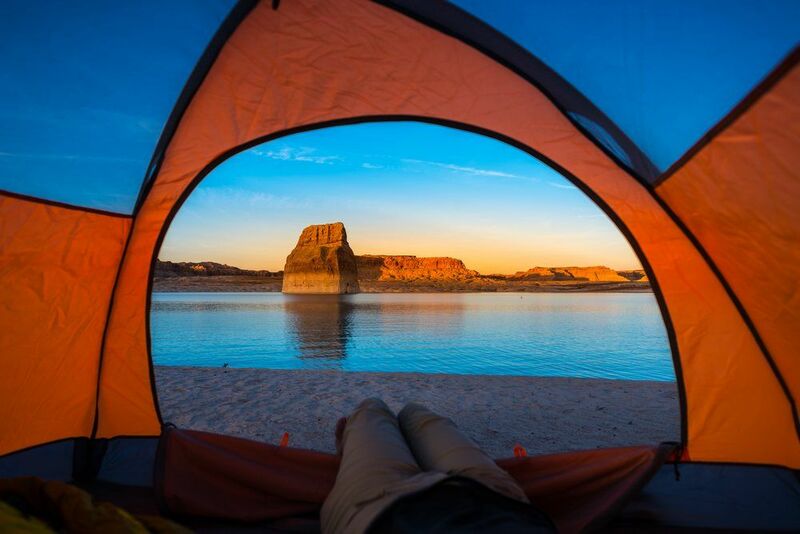 Therefore, our list of the best camping in Utah will vary in conditions, amenities, and notable geographic features. Consider, too, these essential factors as you choose your next camping getaway! 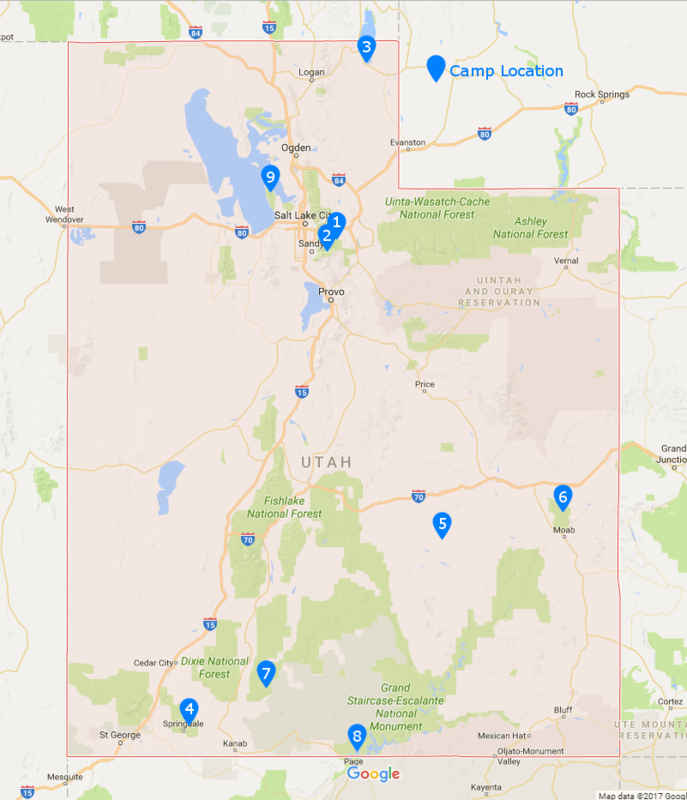 Here’s a handy guide to the locations of our nine favorite camping grounds in the Great Salt Lake State. At 7,500 feet in majestic Big Cottonwood Canyon, the camping spots at Spruces will make you feel like you’re in another world. What’s more, Salt Lake City is only around 10 minutes away! Hence, this camp spot is perfect for the quick getaway as you immerse yourself in the green forest of aspen and spruce trees! Also, the USDA Forest service prohibits off-road vehicles in the canyon and amplified music on campgrounds. Another quick getaway (6 miles away) from Salt Lake City is Tanner’s Flat at Little Cottonwood Canyon. Hikers and bikers will enjoy the many trails throughout the canyon, especially the one leading to the beautiful alpine lakes. Most noteworthy is the quarter mile hike to beautiful Cecret Lake in the Albion Basin. 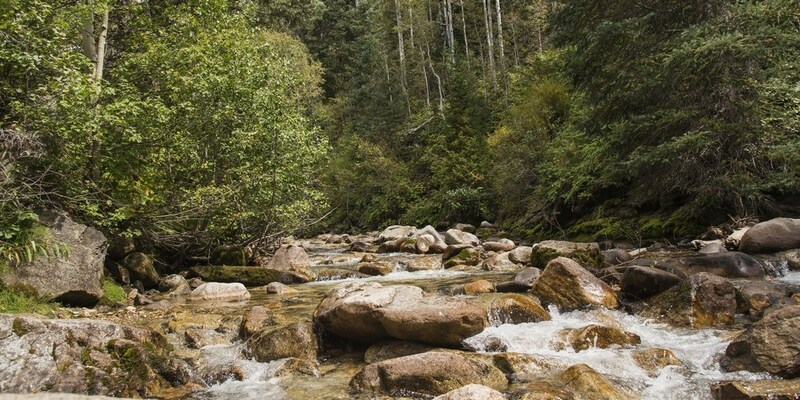 Since Tanner’s Flat is a watershed area, the USDA Forest service does not allow amplified music, off-road vehicles and will penalize those bringing pets. Most of the campsites can not fit large RVs and trailers. Rendezvous beach along Bear Lake is an ideal, and quite the romantic site for campers who enjoy water activities! 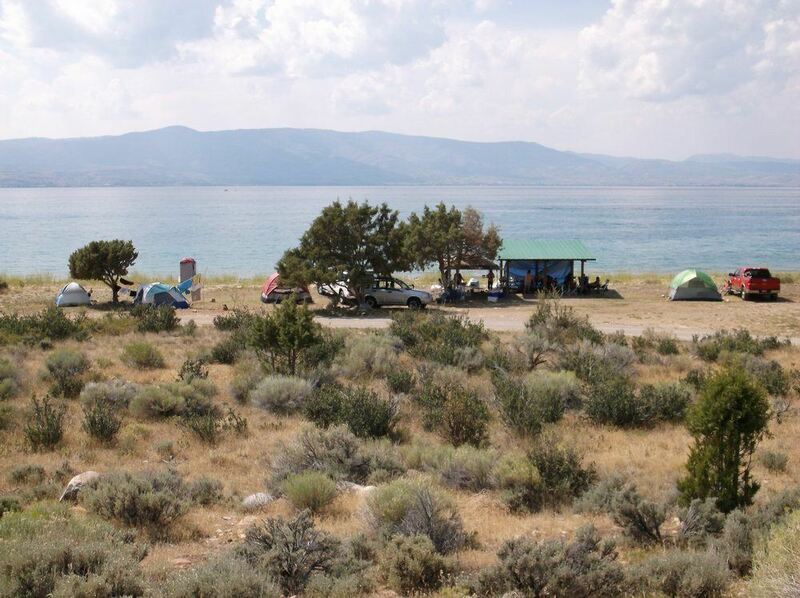 Make sure to reserve your spots well in advance for this camping favorite near green-blue waters of Bear Lake! What’s more, Rendezvous Beach offers both primitive campgrounds and also those that feature modern amenities. Dogs must always be on a leash and are you must keep them from the beach areas. All vehicles must stay on asphalt, and only one extra vehicle per site is allowed. 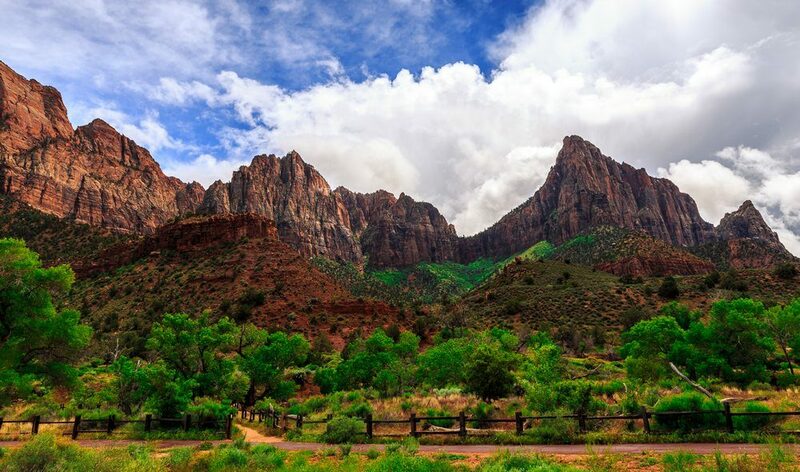 Admire the grandeur of the Watchman at Zion National Park at the Watchman Campgrounds that are open year-round! You will be surrounded by picturesque sandstone peaks and cliffs as you bask in the sun or shelter in the shadow of the eponymous peak. The Zion National Park advises the public of the high number of tent caterpillars present during the April and May, as well as ants in July and August. Consider this advisory with some forethought as the park prohibits insecticidal treatments. There are particular restrictions on campfires, such as gathering firewood. 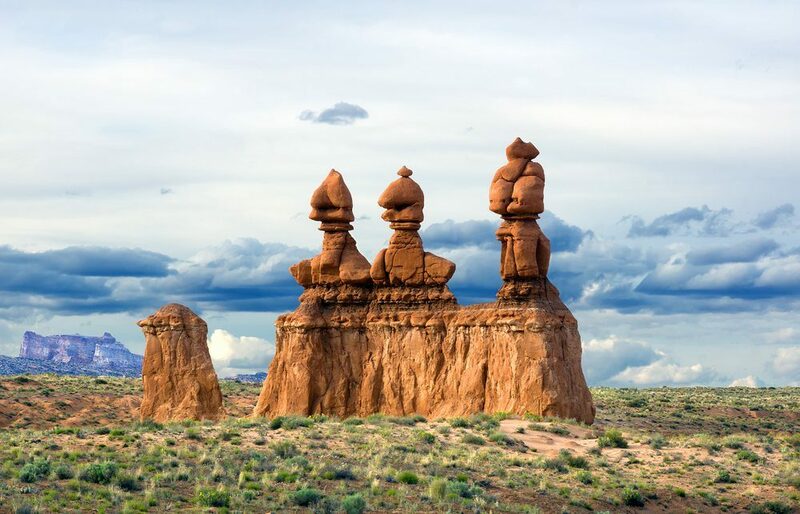 Vast, deeply-colored, and sun-soaked, Goblin Valley State Park is reminiscent of Mars complete with unique rock formations. You’ll be able to roam freely through the park. This site is perfect for the adventurers of all ages! However, it can get quite hot during the summer months so make sure to bring some shade and sunblock! 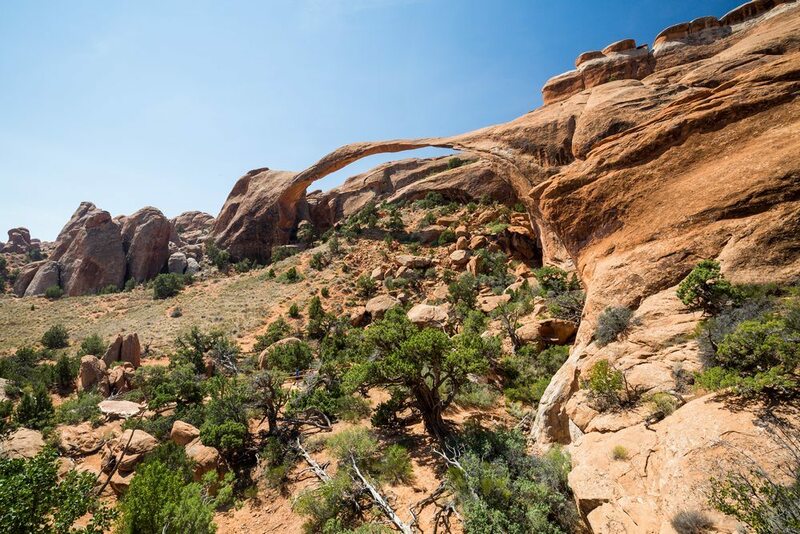 Arches National Park has over 2,500 unusual rock formations and most likely has the most number of natural sandstone arches in the world! The perfect place to view many of these sites is the campgrounds in Devils Garden as it is deep in the heart of the park. Also available are various trails at all levels of intensity as well as guided tours. Be sure to make those reservations for this very popular park! Fifty-one sites, including two group sites and one handicap-accessible site. Another park famous for its natural sandstone spires is Bryce Canyon National Park at an elevation of 8,000 feet in the Colorado Plateau. With its impressive rock formations, sweeping vistas and summer wildflowers, the campgrounds at Bryce Canyon are the places to be. On the other hand, the Sunset Campground has 20 sites for tents, one group site, and 80 sites for RVs & tents. Numerous crisscrossing trails and differing levels. 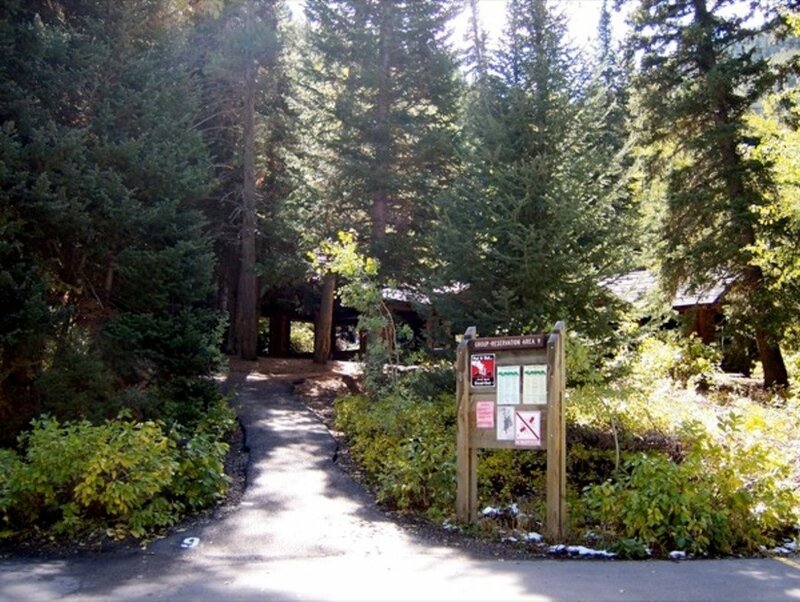 Consider the Sunset campground for the best trails. The park prohibits portable showers, gathering firewood, and reserving blocks of sites for larger gatherings. For the campers and hikers who prefer the refreshing break from society and modernity, Lone Rock beach provides the perfect escape. Retreat, rough it out and reconnect with nature in this primitive, yet beautiful, beach camp location. 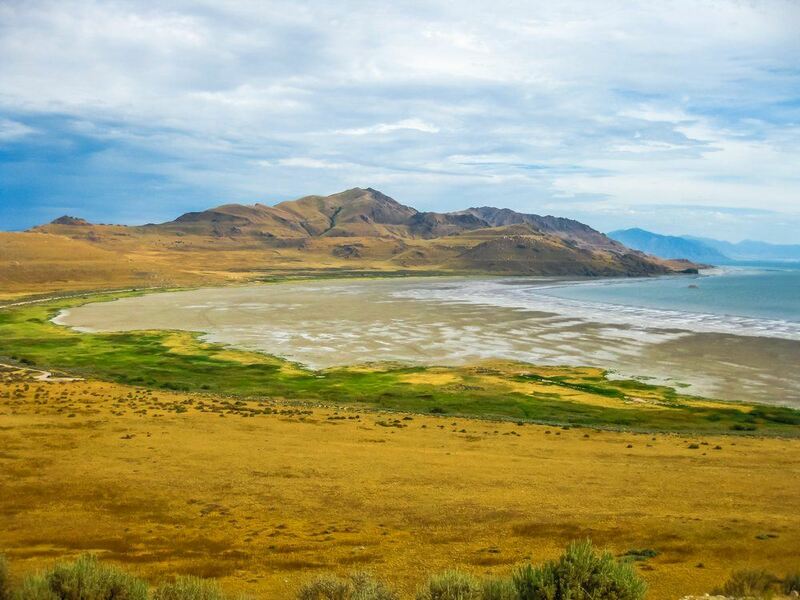 Another State Park perfect for the retreating camper eager to refresh his mind and body is Antelope Island – the largest in the Great Salt Lake. The seven-mile road from the mainland to the island will feel like traveling through time and going back to man’s simple and primitive roots. What’s more, you’ll be able to share your time with the roaming herds of sheep, mule, coyote, bison, hare, bighorn, and others mammals. There you go! 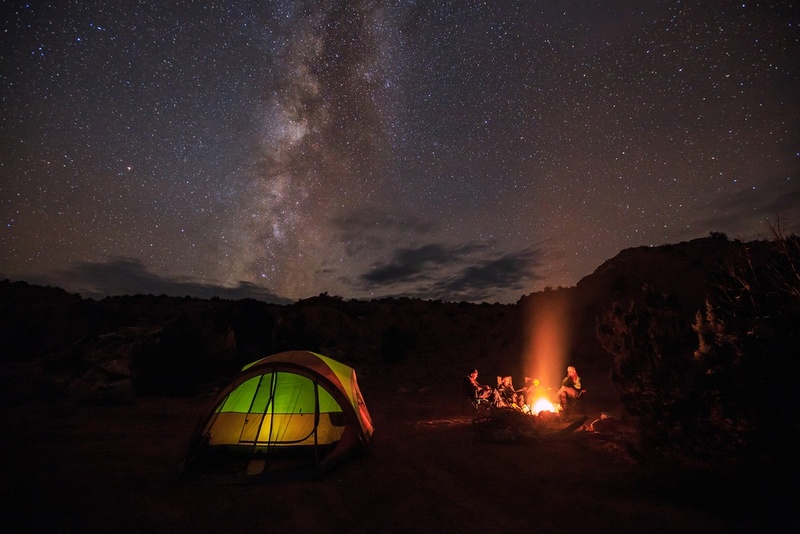 Our top nine best camping in Utah! Have you got your camping equipment, tents, sleeping bags, hiking and other outdoor g﻿e﻿﻿﻿ar ready? Our favorite site is, undeniably, underneath the grand Watchman mountains at Zion National Park. A beautiful camping area complete with magnificent scenery, mountain ranges, wide open plains, and cloudless skies full of stars during the evening.How about you? Which of the thousands of scenic camping spots is your favorite in the Great Salt Lake State? Let us know!